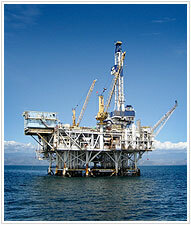 IGL offers a wide range of chemicals that find use in various stages of oil exploration and refining. These chemicals help companies enhance production and reduce their environmental footprint. These improve the flow of oil at lower temperatures. These find use during oil drilling. These are oil and water soluble, based on EO / PO block co-polymers and resin polymer base chemistries, and have application in crude oil demulsification. These find application in corrosion / scale protection and microbial killing. These find application in crude oil demulsification. These are used in deep oil well drilling, enhanced oil recovery, plugging holes and pour point depressants. IGL also manufactures environment-friendly non-emulsifiers, drilling foamer and water-soluble products needed for oil-spill control.